As Australia’s first charity, our vision is a just society where everyone lives their best life. 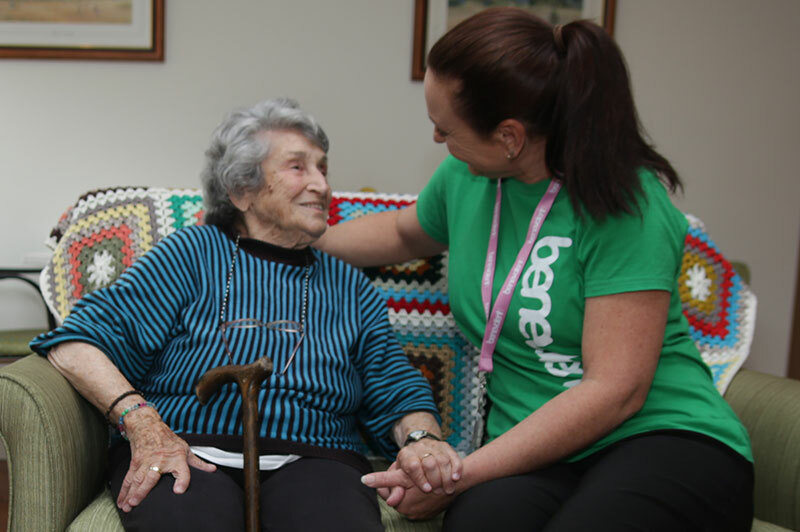 We’ve been supporting people with disability, children, families, older Australians and carers since 1813. Not-for-profit and non-religious, we’re committed to people. Through a dedicated team, a network of service providers, partnerships and volunteers, we change lives. We support you and your loved ones to thrive. We’re there so children get the best start, people with a disability live their best life, and older Australians can stay in their own homes. We’re there for the families and carers. Running our own campaigns and partnering with other organisations is part of how we transform communities. Free legal aid, aged pensions, specialist maternity care and an end to child labour. These are just some of the changes we helped Australians make. We speak up to create a society that’s just and fair. And we always will. The Benevolent Society acknowledges the Traditional Owners of country throughout Australia and recognises continuing connection to land, waters and community. We pay our respects to them and their cultures, and to Elders past, present and emerging. Our website features images and voices of Aboriginal and/or Torres Strait Islanders. Respecting traditional practices, we will remove images or video from the website which may feature deceased individuals as soon as we're notified by the community. This program is all about cooking nutritious meals together and having fun. Sessions are structured for people 65 years and older, or 50 years and older for those who identify as Aboriginal or Torres Strait Islander. Since the program launch in August 2018 we've been getting amazing feedback. The participants really roll up their sleeves and make a scrumptious lunch. ‘Inclusive Directions’, a specialist provider of disability services to children, is now part of the Benevolent Society. They will continue to deliver the exceptional, family-focussed services they have developed for over 30 years and we will work together to expand services to benefit South Australia. You can read more about our plans here. The Benevolent Society is delighted to be partnering with the National Disability Services Agency (NDIA) to deliver ECEI across Brisbane North/South, Loganholme (including Redlands) from 1 July 2018 and Caboolture/ Strathpine from 1 January 2019. The Benevolent Society’s ECEI services will support early childhood activities and interventions that improve the independence and social participation of children with a disability or developmental delay aged 0 – 6 years. Our ECEI services are family-centred, and are delivered in a child’s natural setting, such as in the home, community, early childhood education and care, and playgroups. Where a child is need of longer term support, we will assist families to access the NDIS. More information about ECEI services is available on the NDIS website at www.ndis.gov.au, by calling us on 1 300 00 ECEI (3234) or sending an email to ECEI@benevolent.org.au.